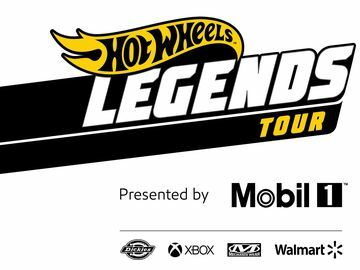 Hot Wheels Racing Circuit™ Speeds into Action | Mattel Inc.
EL SEGUNDO, Calif.--(BUSINESS WIRE)-- Fasten your seatbelts, put it in drive and floor it because Hot Wheels® is launching an online multiplayer game, Hot Wheels Racing Circuit™, www.hotwheelsracingcircuit.com. The visually stunning, 3D-rendered video game replicates the fast-paced excitement of real-life racing with unrivaled customizations to enhance your ride. Hot Wheels Racing Circuit™ allows players to design their own car with multiple paint schemes, body styles, and accessories. With these custom cars, players challenge friends to races and tournaments on out-of-this-world race tracks. Compatible on both PCs and Macs, the first two tracks are free to all users, while access to premium tracks along with exclusive rims, colors and other accessories are available with a $29.95 annual subscription. 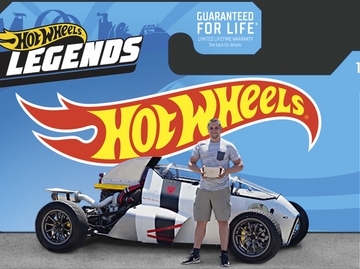 "With the launch of Hot Wheels Racing Circuit, we continue to create the future of play with our core brands by delivering engaging online content," said Chuck Scothon, general manager and senior vice president of Mattel Digital Network. "We wanted to provide a multiplayer video game that would engage and thrill boys of all ages, while also staying true to Hot Wheels' iconic racing legacy." Hot Wheels Racing Circuit™ is a 3D-rendered video game that features multiple play levels with rich imagery that resonates with boys. Players can join multiplayer games hosted by friends or other members, host their own race or play in single-player mode. With an upgrade to premium membership, users will have access to even more options to enhance their vehicles and participate in thrilling race tracks that will test players' racing prowess like never before. Racers can choose from a multitude of different cars — from off-road vehicles with giant tires, to hot rod trucks with V10 engines, to fast-paced two-seater convertibles — that are as powerful as they are slick. Weaponry choices will derail the competition with options such as missiles, fireballs and electromagnetic energy (of course, each weapon only harms the vehicle, not the virtual driver). Players can outfit their vehicles with cool accessories such as power boosters to enhance speed, fusion batteries for extra power, and rims to give cars that extra flair. For more information about Hot Wheels® cars and Hot Wheels Racing Circuit™, visit www.hotwheels.com or www.hotwheelsracingcircuit.com. Hot Wheels® can be found on Facebook, Twitter and YouTube at www.facebook.com/hotwheels, www.twitter.com/hotwheelsonline and www.youtube.com/hotwheels. Mattel, Inc., (NASDAQ: MAT) (www.mattel.com) is the worldwide leader in the design, manufacture and marketing of toys and family products. The Mattel family is comprised of such best-selling brands as Barbie®, the most popular fashion doll ever introduced, Hot Wheels®, Matchbox®, American Girl®, Radica® and Tyco® R/C, as well as Fisher-Price® brands, including Little People®, Power Wheels® and a wide array of entertainment-inspired toy lines. In 2010, Mattel was named as one of FORTUNE Magazine's "100 Best Companies to Work For" for the third year in a row, and was ranked among Corporate Responsibility Magazine's "100 Best Corporate Citizens." Mattel also is recognized among the "World's Most Ethical Companies." With worldwide headquarters in El Segundo, Calif., Mattel employs approximately 27,000 people in 43 countries and territories and sells products in more than 150 nations. At Mattel, we are "Creating the Future of Play."